Dresser 1: height: 94cm; depth: 60cm; length: 110cm. ‘Baudelaire’, is a poetic installation reflecting the romanticism of the 19th century. This age of voyage and discovery brought new riches and acquisitions from around the world to Liverpool, in the form of scent, sugar, spices and tea. Such travels, led to disappointing destinations of greed, war and poverty. 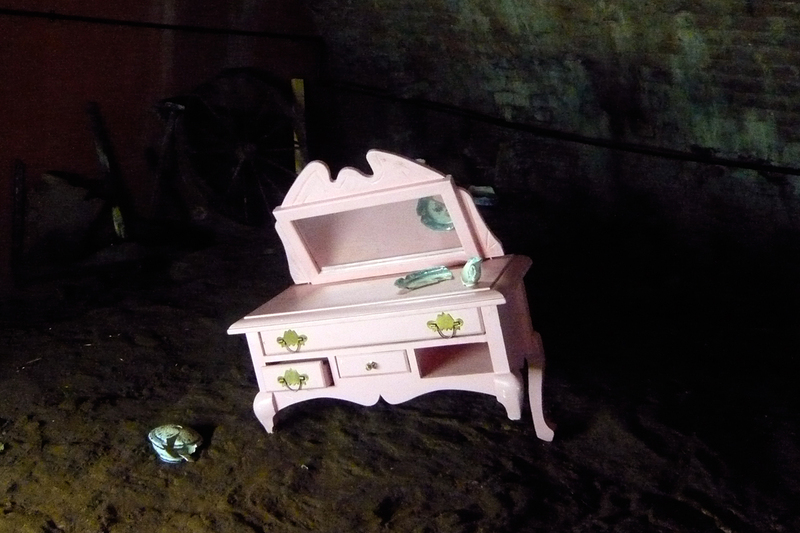 The ‘Baudelaire’ installation may remind us of Liverpool’s greatness and history, it may also make us question if such objects of desire, and fancifulness, can fulfil the illusion of beauty and dreams for all and at what cost? In 2008 Liverpool was the European Capital of Culture, a year for celebration. It was also the 5th Liverpool Biennale Festival of Contemporary Art. The Independents Liverpool Biennial is a fringe festival with a mix of exhibitions, live art, performances, interventions and happenings. 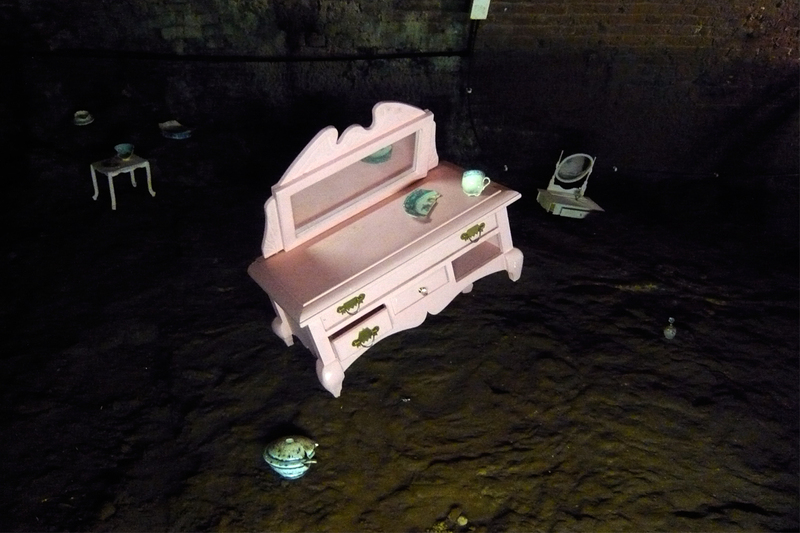 The ‘EdgeCentrics’, a group sculpture show of 19 artists, was curated by Jolanta Jagiello, in the newly excavated Joseph Williamson Tunnels, a labyrinth of tunnels and underground caverns under the Edge Hill district of Liverpool. 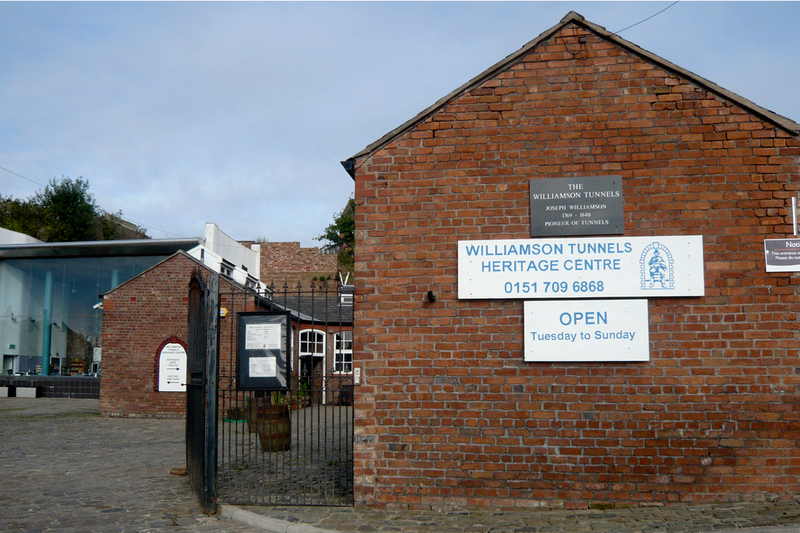 In 1805 Joseph Williamson a retired tobacco merchant and successful philanthropist, bought land in the Edge Hill area and started to build houses on the site. When these were complete he continued to employ his workmen to carry and move rubble from one place to another, then back again. People believe it was to offer work to the unemployed of the district, many of whom had suffered badly from the Nepoleonic Wars. 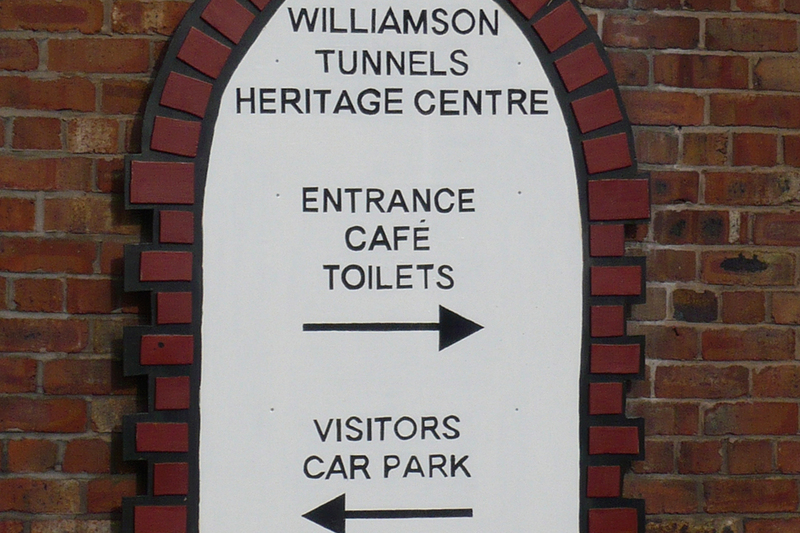 To this day there appears to be no other purpose for the building of these tunnels!